Andrew is the Managing Partner of Gislason & Hunter LLP and also serves as chair of the firm’s Family Law & Divorce Practice Group. Andrew represents business owners, farmers, professionals (doctors, lawyers, accountants, dentists, etc. )–or their spouses–and other individuals throughout southern Minnesota in a wide range of family law matters, including complex and high net worth divorces. With a knack for seeing the big picture and helping clients make good choices, Andrew tirelessly works to resolve matters the right way. While Andrew is far and away most proud of the many successful outcomes he has negotiated for clients outside of the courtroom—many times before a court case is even filed—he has also achieved significant success in motion practice, trials, and on appeal, including having successfully argued a significant family law case before the Minnesota Supreme Court. Andrew enjoys solving complex and difficult issues and guiding his clients through what for many is the most emotional and difficult time of their lives. In addition to representing his clients, Andrew is a frequent lecturer on complex family law issues to both local and national audiences. Clients with significant assets or a business appreciate Andrew’s experience representing businesses and business owners and his knowledge of farm, real estate, business valuation, accounting, and finance principles. Andrew also represents unmarried individuals in custody and parenting time matters, as well as those entering into cohabitation agreements to protect assets and income. No matter what kind of case Andrew is handling, he understands and appreciates clients’ concerns about the cost of legal services and utilizes his experienced staff and other attorneys in the firm to ensure that your financial resources are used efficiently and appropriately, and that the right person is doing the job. Andrew Tatge’s experience representing clients in farm divorces is too extensive to list. In addition to teaching other attorneys throughout the country how to handle farm divorces, Andrew’s family law practice is significantly devoted to representing clients whose assets include farms, farm property, and other agricultural businesses ranging in value from a few hundred thousand dollars to over one hundred million dollars. Andrew has represented grain farmers, livestock producers, and owners of other agriculture-related entities (or their spouses) in arriving at a fair and equitable division of marital property, as well as drafting antenuptial agreements to avoid the potential for disputes later in the marriage. Many of his farm divorce cases have involved significant nonmarital tracing claims, spousal maintenance claims, and complex tax or other issues. When appropriate, Andrew has devised and utilized unique and novel ways to keep farm operations intact post-divorce so that both parties can move on with life and the farm can be handed down to the next generation. Andrew has also successfully represented numerous clients in child custody, parenting time and child support disputes involving farms and farm families. Andrew Tatge has represented owners of various businesses and professional practices in divorce and family law matters. Andrew has represented manufacturing company owners, dentists, doctors, accountants, bankers, pharmacists, chiropractors, engineers, lawyers, tech entrepreneurs, real estate professionals, construction company owners, insurance agents, investment advisors, and has handled divorces involving a number of other privately owned businesses. Andrew’s experience in finance, accounting, and business valuation principles assists in guiding clients through the process quickly, efficiently, and cost-effectively. In many cases, he assists clients in reaching agreements without the need for expensive expert witness assistance. Andrew is acutely aware of a business owner’s need to maintain the confidentiality of their business and financial affairs and works to protect the public disclosure of sensitive information. Divorces involving significant net worth sometimes require a team approach and the inclusion of additional lawyers and others with various expertise. If handled the right way, many of these cases can settle with the parties never having to set foot in a courtroom. Andrew Tatge has handled dozens of high net worth divorces and quarterbacks his team of Gislason & Hunter attorneys in other practice areas—such as real estate, banking and finance, agricultural law, and estate planning—to quickly and efficiently resolve divorce and ancillary issues. Andrew Tatge has successfully argued before both the Minnesota Court of Appeals and the Minnesota Supreme Court. In several matters, he has successfully negotiated a settlement while appeals were pending. Spousal maintenance is one of the most complicated family law issues in Minnesota. 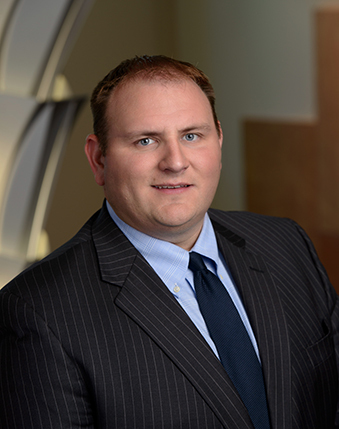 Andrew Tatge has handled dozens of maintenance cases—both initial determination matters and modification of previously court-ordered or agreed upon awards. Andrew is one of only a handful of attorneys in Minnesota to have successfully argued a spousal maintenance case to the Minnesota Supreme Court. Andrew Tatge regularly assists clients in negotiating and drafting antenuptial and postnuptial agreements to protect pre-marital assets and assist in providing greater certainty for married parties in the event of divorce or upon a spouse’s death. Although still relatively rare in Minnesota, Andrew has experience drafting and negotiating cohabitation agreements, including agreements involving substantial assets, interstate and jurisdictional issues, and unique maintenance and payout-related agreements. Andrew Tatge represented husband in long-term marriage with minor children; secured property settlement allowing husband to retain family farm with property settlement payout to wife over time. Andrew Tatge represented wife in long-term marriage; matter resolved at mediation with wife receiving spousal maintenance, requested disposition of assets and significant cash payment. Andrew Tatge represented husband, a shareholder in several family-owned businesses, in divorce involving minor children. Secured significant parenting time, waiver of spousal maintenance by spouse, and requested disposition of assets, including marital and non-marital assets. Andrew Tatge secured temporary order for wife of business owner including no-contact order granting wife homestead, custody and requiring husband to pay for all expenses of wife on an ongoing basis. Andrew Tatge represented dentist in marriage without children; secured stipulated resolution without mediation allowing client to retain all interests in practice and avoid spousal maintenance. Andrew Tatge represented farmer with over $5 million in pre-marriage assets, preserving non-marital characteristic of assets and any increase in value, including through active appreciation and secured waiver of future spousal maintenance. Andrew Tatge represented farmer and business owner with pre-marriage assets of $1 million protecting assets, inheritance and securing waiver of future spousal maintenance. Andrew Tatge secured primary custody for father (a farmer) after two-day court trial where farm lifestyle and alleged dangers of farming were claimed by urban-dwelling mother.